Robots are known for being rigid that moves in a stiff and awkward way. However, with the development of technology, this is not always the case. But did you know that you can already find a robot that is soft even its circuitry? 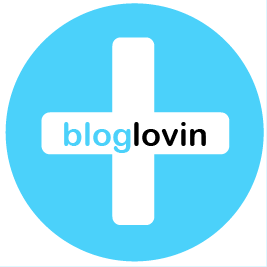 This is what the researchers from the Harvard University have introduced. They have already produced soft robots before yet the challenge is making this creature moves without being tethered with electronics, batteries, or with an external control system. 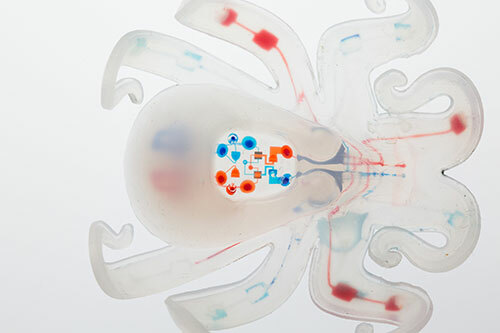 The Octobot, Harvard’s 3D printed robots, can move using a pneumatic system that was created by a research team which is led by Robert J. Wood together with John A. Paulson and Jennifer A. Lewis. This was already published in a Journal where the title explains the creation of soft robots. The soft body of the octopus had inspired the team where they got its name. It is designed to look like an eight-limbed cephalopod. What will surely amaze you is that the robot can move even if it has no skeleton. This is because of the pneumatic system that was used where jet propulsion and the contraction of the eight arms are involved in order for the robot to swim fast and crawl. It is powered by hydrogen peroxide instead of a battery. As soon as the hydrogen peroxide turns into a gas it will then flow into the limbs that will inflate the octobot causing it to flex and lift. George M. Whitesides, a chemist and also the co-author of the study, had developed the microfluidic logic circuit that is responsible for controlling the chemical reaction. It consists of a series of valves, fuel reservoirs, and channels that dictate if the hydrogen peroxide was already decomposed into gas. It only means that the octobot doesn’t need external cues from computers or humans. The good thing about hydrogen peroxide is that it can replace rigid power sources when a chemical and a catalyst cause a reaction. 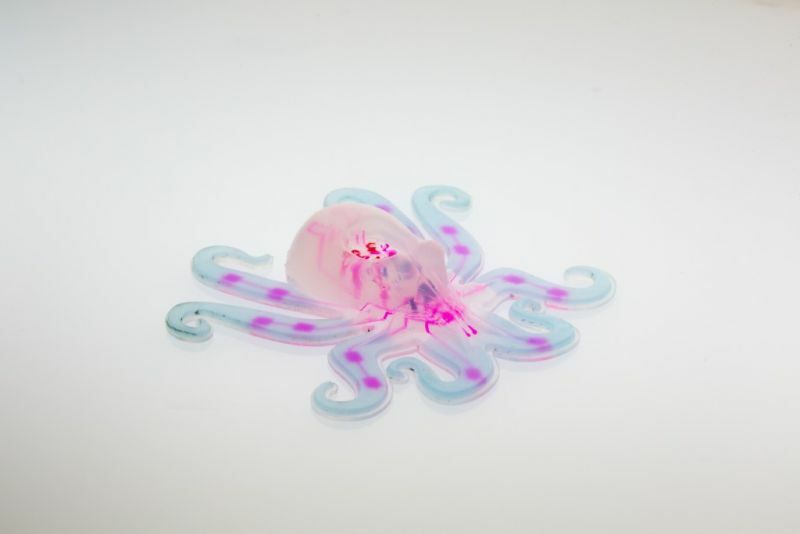 By combining three fabrication methods that include molding, soft lithography, and 3D printing, they were able to create the octobot. According to the team, they have produced the robot in just a short period of time thus allowing them to continue their studies and conduct their experiments. They have 3D printed the components of the robot such as the power and actuation as well as the fuel storage in a quick process. The project is not yet complete because the octobot can only make limited moves wherein it can only wave its arms. The team will work on how they can make the robot crawl, swim, and interact with its surroundings like what a real octopus can do. Ryan L. Truby, the co-first author of the study and a graduate student of Lewis lab said that this is an evidence of concept. The team is hoping to inspire researchers, roboticists, and material scientists to create soft robots while making use of advanced manufacturing. Can CLIP save consumer 3D printing?